Item: CVA 677-590 - Corner of Westminster Avenue [later Main Street] and Hastings Street, Vancouver, B.C. Item: CVA 677-742 - Dining hall, Anglican College, Vancouver, B.C. Photograph shows Hastings Street, looking west, decorated with flags and signs. 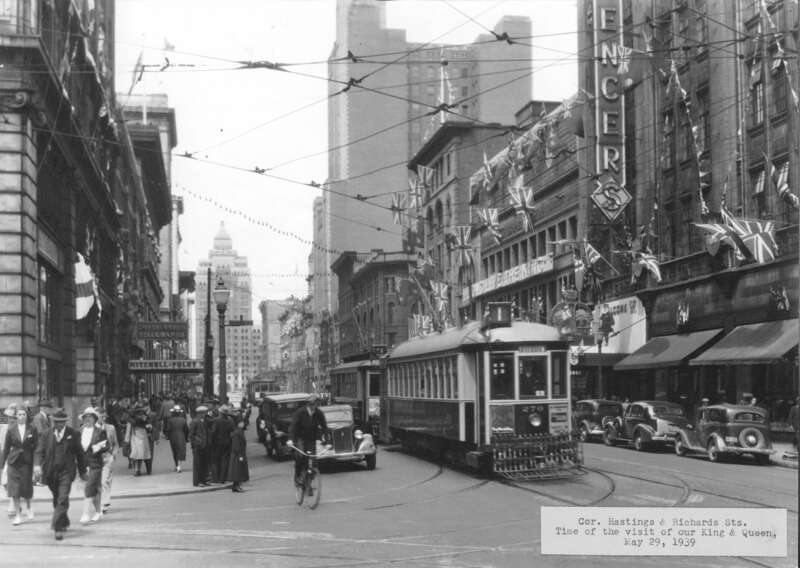 Photograph also shows streetcars, automobiles, and pedestrians.